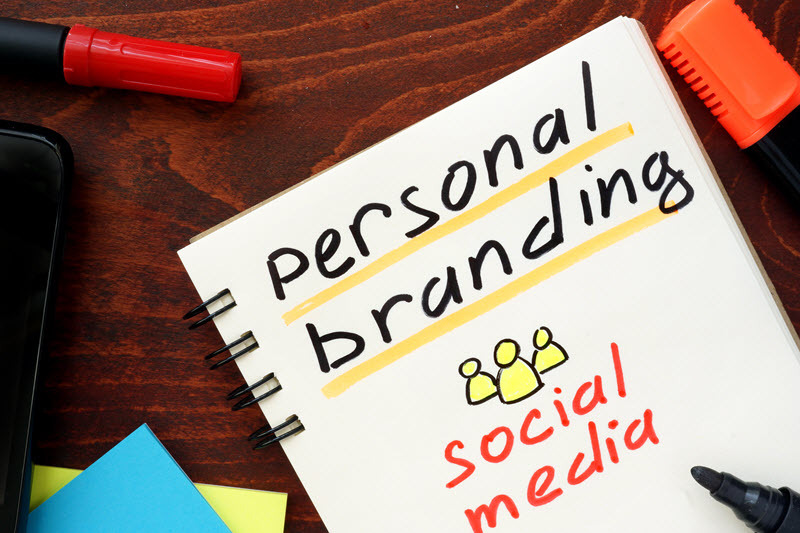 Everyone has a personal brand, whether they know it or not. The things that you’ve said or done have created an image of who you are, and the manner in which other people perceive this image defines your level of success and your influence. In the business world, you know initial impressions are vital, but your actions and your appearance after that first impression are just as important. But can you control the perceptions of other people? Sure you can. Think about the image that celebrities convey to the public. Do you think Lady Gaga dresses up in 10 inch heels and meat dresses when writing her songs? Her personal brand is a carefully laid out plan. 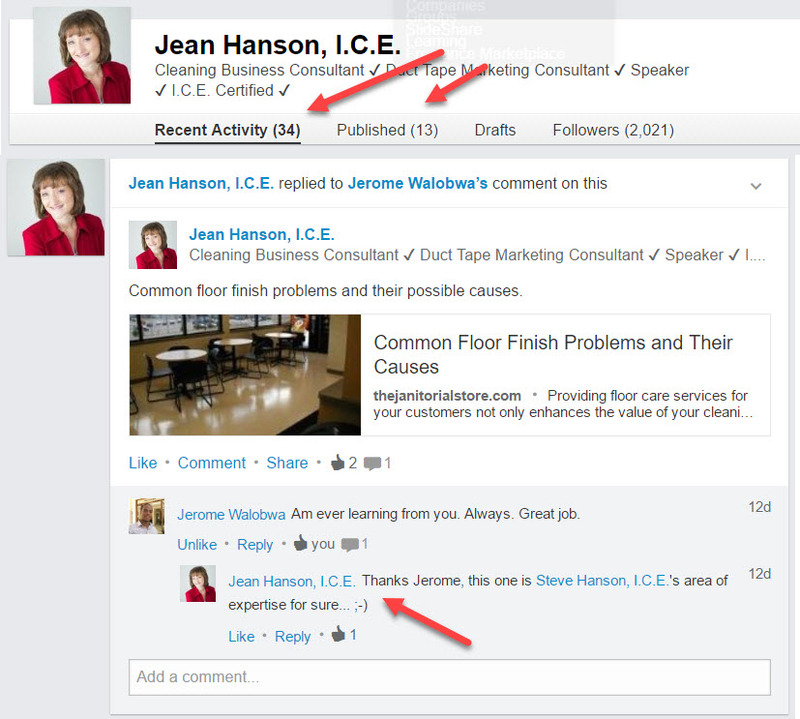 How Do You Control Your Personal Brand on LinkedIn? For starters, you can get proactive by closely crafting and monitoring your presence on LinkedIn. Everything you do that presents the best image of yourself helps you build your personal brand; on LinkedIn, that all starts with your profile picture. Visuals get processed 60,000 times faster than text; LinkedIn profile pictures are no exception to this rule. Upload a picture, but make sure it’s one of you looking your very best. And don’t forget your background picture! Choose an image that gels with the brand you’re hoping to convey; if it’s a picture of you, make sure you look professional. Remember that if you want to generate leads for your business on LinkedIn, you must look the part. Since I like to talk to entrepreneurs about marketing, my background photo shows me speaking to a group of women business owners. Some LinkedIn users create an account with the best of intentions, but all too quickly allow their profile to figuratively collect dust until they’re actively seeking employment or clients; this creates a negative impression upon the people you’ve connected with on the site. The true value of LinkedIn lies in its ability to connect people and build relationships. Joining relevant groups, adding people from your email address book, connecting with fellow alumni from high school and college, and especially reaching out to people you met at a networking group can create ample opportunities for growth. 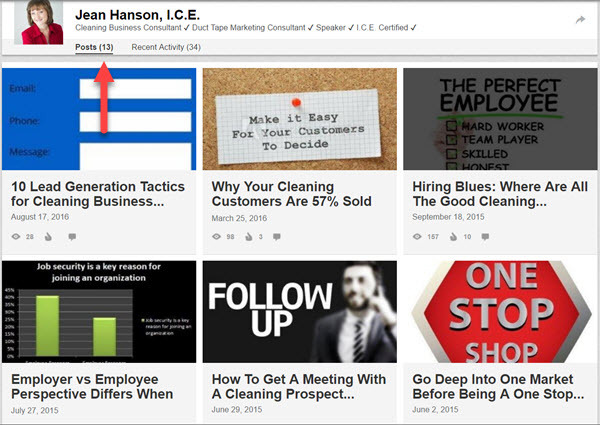 LinkedIn isn’t just an opportunity for networking; it also allows you to post content. What kind of content? There are a few options for those who wish to generate quality content. Career Updates—You can set this to be automated, and it’s a helpful way to keep your contacts abreast of your career status, reinforcing your brand. News and Events—If you’ve been the recipient of a professional honor or award or participated in an event or function that you feel can help you promote your brand, this is the place to talk about it. Toot your horn, in a professional manner. The book “Do Leadership” is a guide for small business owners who want to be a “thought leader” in their industry. When you’re a thought leader, you have a point of view and it’s your job to share that point of view throughout your personal branding strategies. I agree with that statement, but I would take it one step further by adding that you can be a thought leader for your customers. By becoming and authority on topics relevant to your target audience and addressing their most pressing problems, you become the expert in their eyes. That means they’ll turn to you when they need help. The key is to keep your prospects and customers in the forefront of everything you do, including the content you post on LinkedIn and other social media sites. According to LinkedIn members who list skills on their profiles snag roughly 13 times more profile views than the members who skip that step. Do you fear your skills aren’t what your connections are looking for? Non-IT skills are on the rise, with 8 of the 10 most popular skills in the non-technical realm. Skills are how you’re found! Research your connections to see if you can unearth skill keywords you might have missed on your initial assessment. Additionally, keep in mind that while having tons of contacts might seem impressive, savvy LinkedIn users who view your account will be looking for testimonials and endorsements on your page; if the number of contacts is disproportionate to the number of personal endorsements, they will likely take note. Targeted skills, endorsements, and testimonials add far more value to your personal brand on LinkedIn than the number of connections alone.